How many miles a year will you operate this engine? By clicking the submit button, your information will be sent to a Butler Performance Engine Specialist who will contact you and give you a specific quote on your BP custom engine. Please let us know the best way to contact you. There is no denying that Butler Performance is your go-to place for Pontiac performance engines. What makes them so special you may ask? The first answer to that is the knowledge of our engine builders. They have been building engines for many years. Not only have they been building them, they have been racing what they build. We have also been researching and developing new technologies and processes for getting maximum results that many others try but cannot imitate. Not every little detail is laid out here of course. We have proprietary technologies and processes that only Butler Performance uses to make our engines outperform the competition hands down. These things, in combination with our engine building expertise and racing heritage, make Butler Performance your only destination for performance Pontiac engines and assemblies. With all that being said, let's take a quick look at the in-depth process your assembly goes through to become a High Performance Butler assembly. 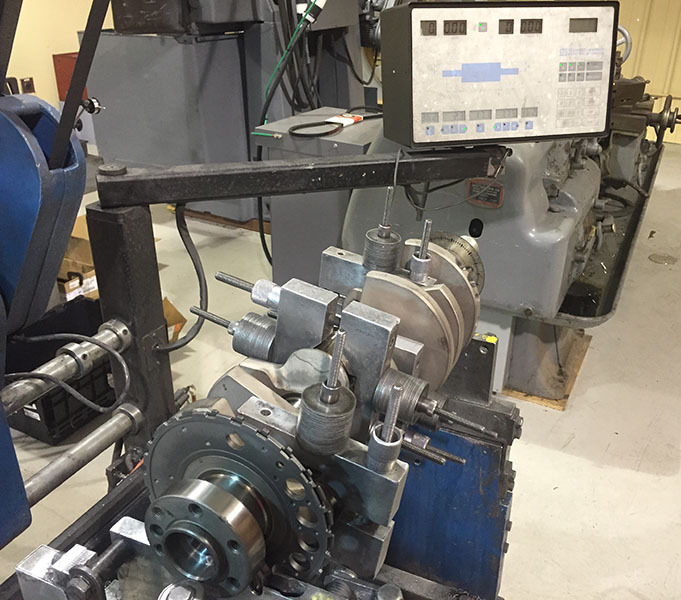 Rotating assembly consists of the crankshaft, connecting rods, pistons, rings, pins, and bearings. Butler Performance doesn't simply install or sell rotating assemblies out of the box. Most suppliers and builders simply "box balance" based on manufacturer supplied weights. These Butler Pontiac rotating assemblies are custom designed for your application. When you submit the form below, one of our trained techs, based on our years of knowledge, research and development, testing, racing heritage, past satisfied customers, and tried and true Butler Performance builds, we will assemble a package from your desired specs and parts selected. We will email or call you with a custom package. Due to the fitment, blocks, strokes, bores sizes, tolerances, tested applications, etc. our package will give you the parts we suggest to make the assembly a high quality Custom Butler Assembly. One we will stand behind for your desired application. This form is not an order. It will give us the necessary details to create you a custom assembly designed for your particular application. We will then contact you with a detailed quote including specs and parts for your custom package. Don't stress if you don't have all the necessary information for the form. Submit as much information as possible and our trained techs will try and fill in the details. Have questions? Submit the form, call us at (866)762-7527, or email us at info@butlerperformance.com, we will contact you as soon as possible and look forward to helping you build a custom Butler package.